After years of a reoccurring terrifying memory about a traumatic attack I sustained 15 years ago, I found light therapy. My intention was to start therapy for my son. Thankfully, with my therapist’s gift of perception, her suggestion was that I start the therapy first. This memory was occurring every time I opened my eyes. I was having difficulty functioning in my job, as a woman and single parent. Within a few short months our lives have changed. For me, I no longer relive the daily nightmare of my attack. I only think about it when I want to share my success and tell someone about the therapy and my therapist. To be free of this trauma has given me the feeling and sense of freedom to go on with my life. My son has been through a traumatic divorce, which resulted in abduction by his father, living in hiding for our safety, and being separated from my family. For the life of an eight year old that’s a lot. Because of this trauma, at 4 1/2 years of age, my son stopped developing emotionally. Between The Listening Program, the light therapy and the movement therapy, I feel my son is now functioning at a 6-7 year old level within a matter of months. The light work helped me find out what my most basic issues were at that time. I saw gray or cloudiness with some of the wavelengths of color. Those colors also made me feel uneasy, afraid or angry. My ”demons” were very obvious - in fact there were a couple of wavelengths of light where I did see scary looking faces! From there, we used the finger technique (EMDR) and we defined the issue by finding the right phrase to describe it (being afraid of my father's raging temper and his threats to hit me when I was around 9 years old). I remember that I started out feeling afraid as the child, then I became angry at him for treating me like that, and finally I felt forgiveness, understanding and love. When I again did the light therapy, the colors corresponding to that issue were bright and clear and gave me feelings of peace and love. Brain Breakthrough therapies weave art and science together with love and intuition creating a path for healing. In a kind and gentle way the work with light therapy helped me release a very painful young child event. Afterward for the first time ever, I found myself thinking, “Wow, I feel so beautiful”. Not so much in an outside way, but in a whole human being way. It was amazing. This feeling remains with me even now some 6 months later. Light therapy in the hands of my therapist gave me back to me and changed my life forever. I began going to light therapy because my need to control, my constant checking and worrying, and horrible stomach aches were interfering with my life and ability to thrive as a young woman. Only through the amazing guidance of my therapist, and the use of light and color, was I able to realize these problems stemmed from feelings of inadequacy. With the hypnotic, intense use of color my soul slowly became open to accept myself and love myself. With this newfound faith I have done less worrying and my stomach pains are virtually gone. My family member was over anxious, obsessive, confused and had irrational thought processes. In two and a half hours with the light and color therapy, her intense anxiety was gone. In another two and a half hours, she was able to say she was clearly confused, rather than holding to her obsessive views of life. The next morning she awoke and clearly stated her intentions for her current life----she was fully in the moment. Bernadette G. Kohn D.O. KOHN GROUP, Ltd. The use of Brain Breakthrough therapies is cutting edge. The positive results for all the clients I have referred are immense. These therapies apply light and sound as sensory modalities that allow the frontal cortex to communicate effectively with the limbic system. This makes neuroscientific sense. The research of such famous neurophysiologists such as Joseph LeDoux and Edmond Rolls supports a theoretical rationale that light and sound can affect the brain networks involved in processing emotional states. 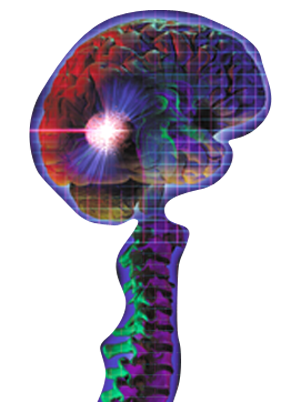 Clinically, I have been very satisfied with the results that Brain Breakthrough therapies provide with their 21st century approach to emotional illness. After two, 20-session, 20-minute light therapy treatments, my sons' reading abilities in first grade went from a mid-kindergarten level to a mid-second grade level in a seven-month period. I was totally blown away! Their visual fields expanded at least 100 per cent. Try it! Unbelievable! After just one phone session with the EFT (Emofree Technique) Treatment the Carpal Tunnel symptoms in my right hand have eased. This is the first relief I have had in years. Truly, a worthwhile treatment. Of all the work I have done, and it is considerable, to quiet the demons within, the work I have done with Brain Breakthrough therapies has been the most effective. I know that the work is for me a resource that has not only rescued me from the black hole of self-doubt and self-recrimination but that it has an amazing power to create a dramatic internal shift even in one session. My Brain Breakthrough therapist saved my life. Because of her warm, loving, positive, multifaceted approach, I now have my life back. I trust her completely. I tried any and all of the unusual therapies she prescribed whether I understood them at the time or not, and she was always right. The treatment worked much better than anything I've ever done. I've had years of therapy before but in each session of the light therapy, I experienced more healing than I had ever thought possible. Instead of leaving a session more upset from stirring up old wounds, I left feeling cleansed, healed, somehow having moved through and beyond the pain and coming out the other side feeling more free. I came to therapy frightened, anxious, depressed, crying constantly, having nightmares, not sleeping, unable to concentrate, think clearly or function at all. After a few months I am now happy, free from depression and anxiety for the first time in my life, employed full-time at a job I love, and enjoying my life. Thank you for my new life!